New legislation in Congress would allow the Food and Drug Administration to band flavored cigarettes (which are marketed to youth) but not band menthol cigarettes (which are marketed to Blacks). Some health experts believe that this plan could leave Black Americans at more risk. The Southern University Ag Center's Communities of Color Network monitors the tobacco industry in Louisiana and educates the community. On May 30, World NO Tobacco Day, at 11am the CoC Network will host a symposium for area churches to learn outreach education strategies to make their church community 100% tobacco free. Join us in educating your family and friends about smoking risks on World NO Tobacco Day. For more information on this symposium, contact Latricia Dixon, regional coordinator, Communities of Color, (225) 771-2242 ext. 283 or latricia_dixon@suagcenter.com. 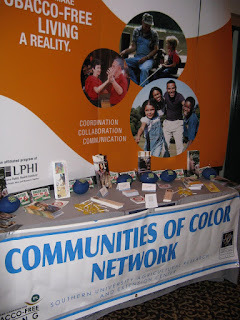 Visit www.suagcenter.com/communitiesofcolor.html for more on the CoC Network. The 2009 Louisiana Hurricane Preparedness Sales Tax Holiday does not extend to hurricane-preparedness items or supplies purchased at any airport, public lodging establishment or hotel, convenience store, or entertainment complexes. The Louisiana Hurricane Preparedness Sales Tax Holiday is an annual event. The 2009 sales tax holiday begins at 12:01 a.m. on Saturday, May 30, and ends at 11:59 p.m. on Sunday, May 31. A Management Intensive Grazing Workshop and Farm Tour for county agents and other agriculture professionals will be held Wednesday, May 27, 2009, at the Southern University Agricultural Research and Extension Center in Baton Rouge. MIG is a grazing system where the animals are allowed to graze small portions of the pasture for short periods of time while other areas recover. The workshop, which includes lunch, a workshop manual, and a DVD on management intensive grazing, is free for county agents and other agriculture professionals. Farmers are also invited to participate. Sign-in begins at 7:45 a.m. and the workshop will begin at 8:30 a.m. Morning sessions include visits to the Center’s Experiment Station and two farms where management intensive grazing is practiced. During the afternoon session, Ron Morrow of the Natural Resources Conservation Service in Arkansas will discuss the methods and benefits of management intensive grazing. Space is limited and pre-registration is required. Please register for the workshop by contacting: James McNitt at james_mcnitt@suagcenter.com, or (225) 771-2262 x 270, Carl Motsenbocker at cmotsenbocker@agcenter.lsu.edu or (225) 578-1036, and Emily Neustrom at eneustrom@agcenter.lsu.edu or (225) 578-1037. The workshop is sponsored by the Southern Sustainable Agriculture Working Group and the Louisiana Sustainable Agriculture Research and Education Professional Development Program. For more information, contact McNitt at (225) 771-2242 ext. 270. Plans are underway statewide as youth prepare to travel to Baton Rouge for the 2009 Family and Youth Expo, "READY, SET, GO: Encouraging Youth to Win the Academic Race." 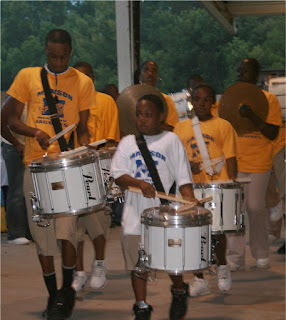 The June 18-20, 2009, expo is the culminating celebration for the Ag Center's youth development programs. All activities will be held on the Southern University Baton Rouge campus. Contact your local agent or Wanda Burke, Ph.D., youth development specialist, (225) 771-2242 ext. 325 for more information. The Southern University Ag Center's family and human development office will present a one-hour workshop on emergency preparedness, May 20, at the Southwest Center for Rural Initiatives, 232 S. Liberty St., in Opelousas. Stacey Nevills, parent educator, will explain weather bulletin information, evacuation processes, and post emergency procedures. The May 20 workshop begins at 6 p.m. Seating is limited to the first 25 participants. A second workshop is planned for 6 p.m. Tuesday, May 26, 2009, at the Southwest Center. To register or for more information, contact Nevills at (337) 943-2410 or stacey_nevills@suagcenter.com. The Southwest Center for Rural Initiatives is a satellite campus of the Southern University Agricultural Research and Extension Center. Its mission is to improve the socioeconomic well-being of citizens in rural communities within a 10-parish region. Small business owners can find business start-up information, forms, and success stories online on the new website for the Center for Rural and Small Business Development. Designed by a small business client of the center, the website is user-friendly with a calendar of training events, SBA applications, and IRS forms. Visit the site at www.suagcenter.com. For more information, contact Gloria London, director, Center for Rural and Small Business Development, at (225) 771-2242 ext. 327 or gloria_london@suagcenter.com or Eual Hall, business development specialist, at eual_hall@suagcenter.com.